Fort Rice?? We don't think so! 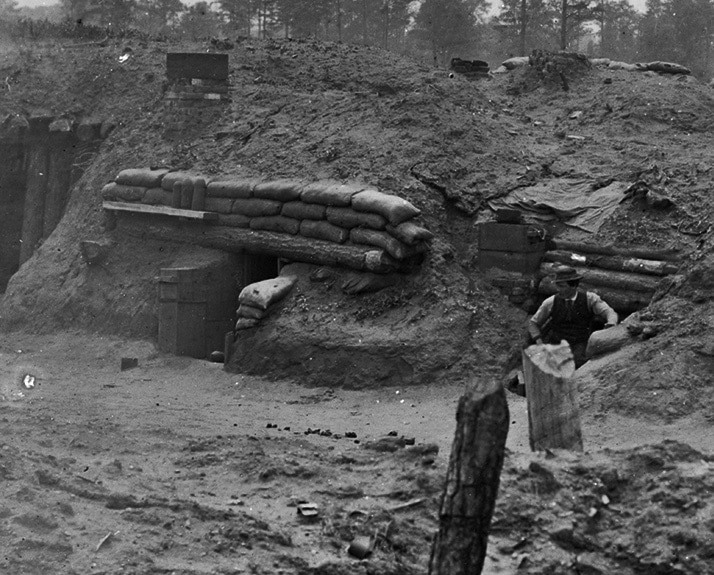 "The Rebel in the Road"
"A Strange Sort of Warfare Underground"
This stereo image has been identified as earthworks at Fort "Steadman." 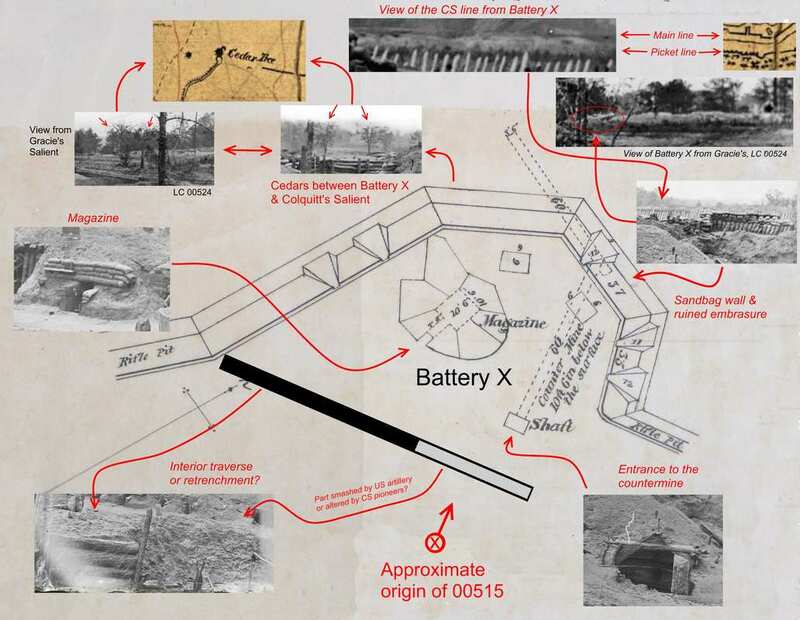 Dr. Shiman has convincingly matched image details with the Army engineers' plan of Battery Ten (X) and cross-referenced these details with other photographs taken in the vicinity. 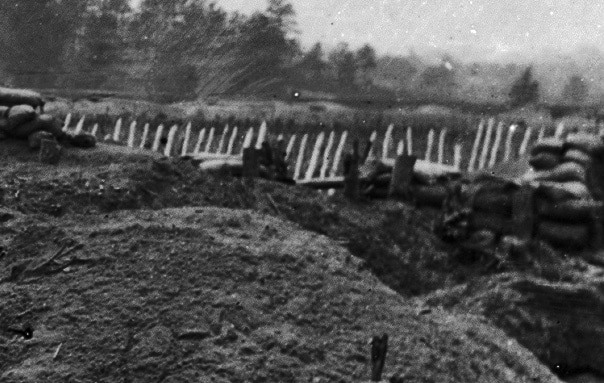 It is clear that the image was taken from the rear of Battery Ten, looking toward the Confederate lines at Colquitt's Salient. When Confederates assaulted this portion of the Union lines before dawn of March 25, they were first penetrated Union lines here at Battery Ten and then entered adjacent Fort Stedman. 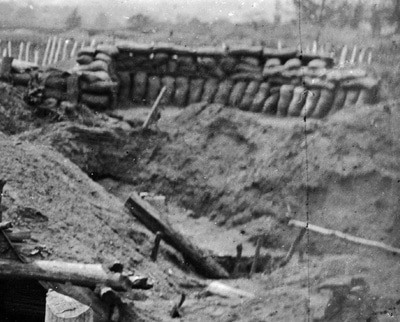 With careful scrutiny, damage from the March 25th fighting can be discovered in this photograph, along with Union efforts to repair the damage in the weeks before the image was taken. 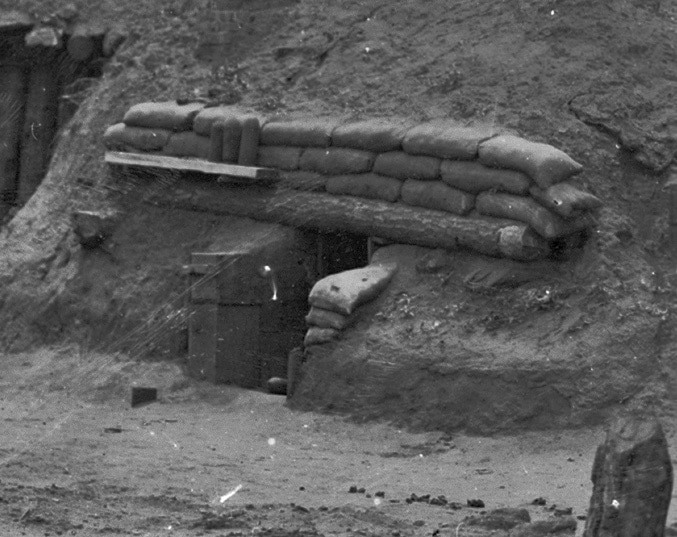 In addition, the appearance of Timothy O'Sullivan's assistant "Vest Man" posed in the doorway of a bombproof is sufficient (by our way of thinking) to attribute this photograph to O'Sullivan. 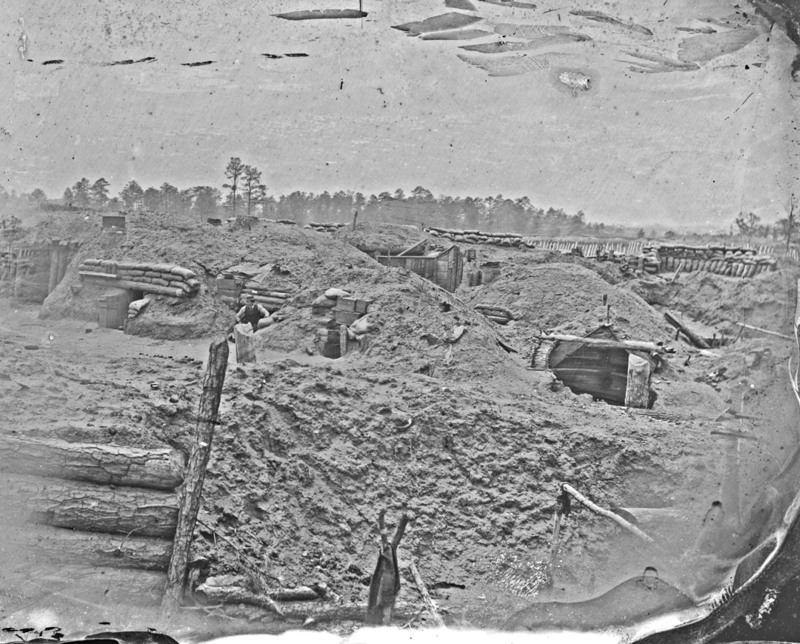 This stereograph was taken roughly at the same time as others in the Fort Stedman series. LC 00515. 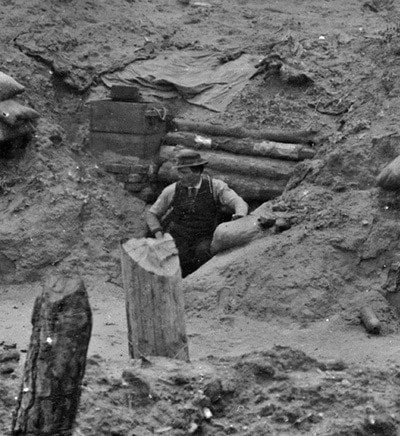 "Petersburg, Virginia. Earthworks [Fort Stedman] in front of Petersburg." Battery X adjacent to Fort Stedman. Image by Timothy O'Sullivan (unattributed). LC 00515 right half of stereo. Dr. Shiman delineates the details found in this photo in the page below. 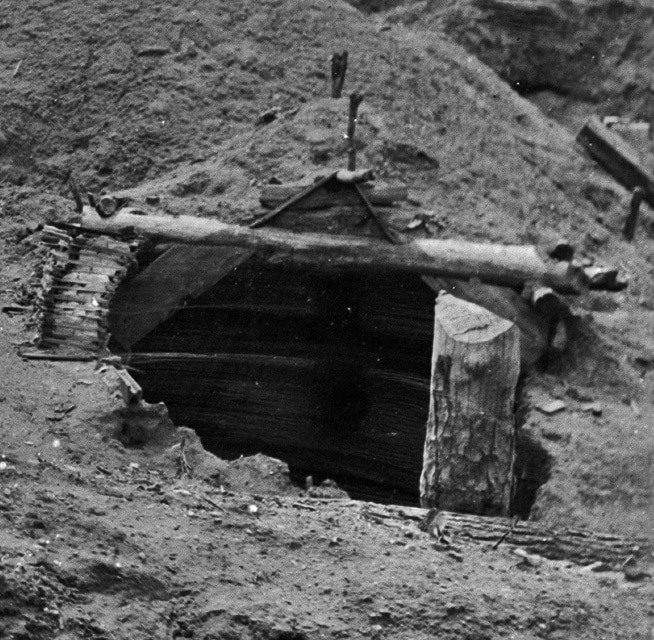 NARA photograph, unattributed (likely O'Sullivan), 1865.